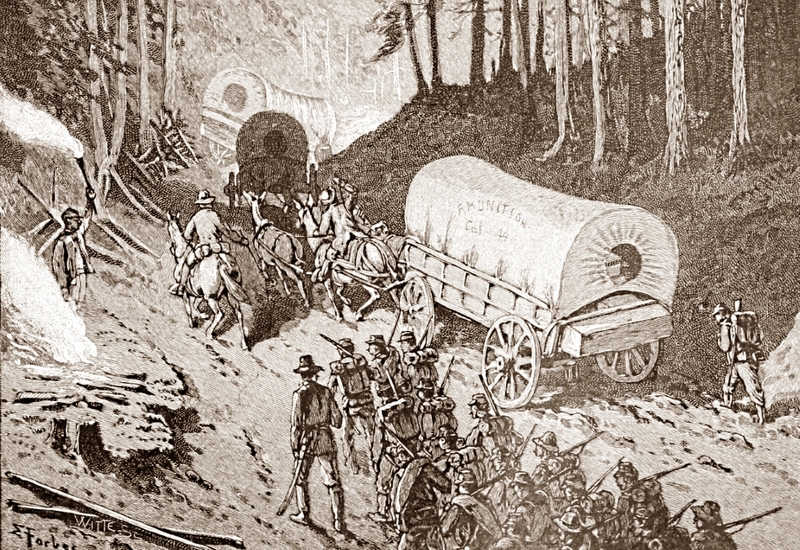 This tour stop is located on a stretch of the Historic Byram’s Ford Road and addresses the role played by the Confederate wagon during the Battle of Westport. 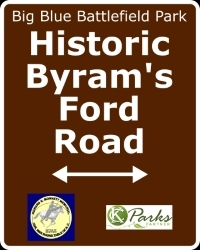 Look for the Historic Byram’s Ford Road sign on the east side of Hardesty Avenue. 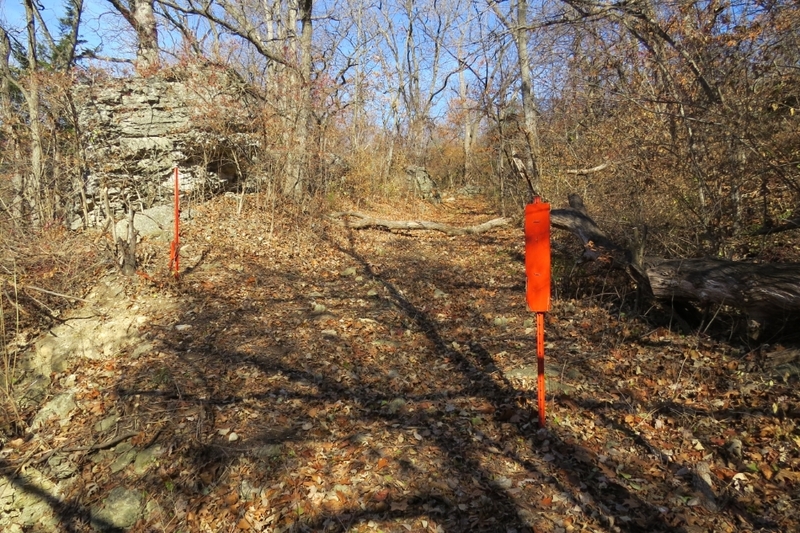 Start of Historic Byram’s Ford Road east of Hardesty Avenue. 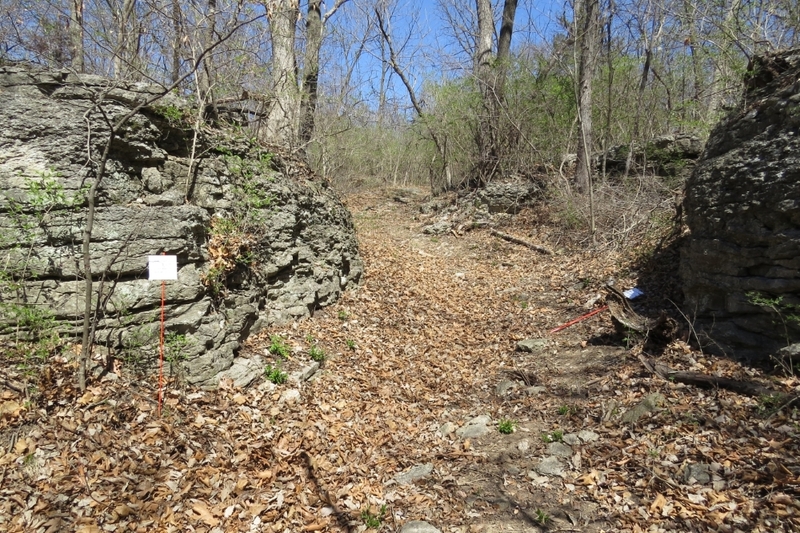 View of Historic Byram’s Ford Road passing through limestone outcroppings.